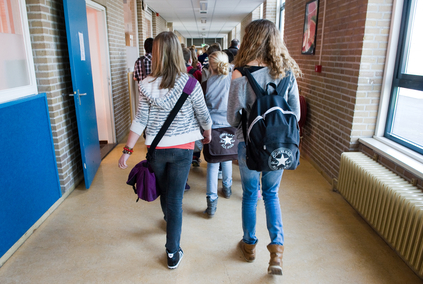 The management of a school in Veenendaal colluded with broadcaster RTL 4 to introduce five fake pupils into its classrooms for an eight-part reality show, the Volkskrant reported on Friday. The ‘newcomers’ were going to be followed more closely so ‘a better impression could be had of school life’. One of the teachers, who wished to remain anonymous because he fears for his job, told the paper that pupils at the school became suspicious and found out that the social media profiles of their new fellow-pupils were fake. Many pupils, who according to the teacher, had also been put under a lot of pressure to give permission for being filmed, said they felt uncomfortable with people who were there under false pretences. ‘That created a socially unsafe situation and that is unacceptable,’ the teacher said. At a meeting on Wednesday the school management and Vincent TV admitted to staff that the introduction of the five actors was part of the format, which is based on American reality show Undercover High. Filming at the CLV, which has 2,000 pupils, has now been stopped but the teachers, who were asked not to speak to the press, were left angry at spending time on pupils who were not who they said they were. ‘They apologised but strangely enough the management still wanted to go ahead with the documentary. Why I do not know,’ the teacher said. RTL4 spokesperson Kim Koppenol told the Volkskrant that the fact the fake pupils had been found out two weeks into the filming had caused ‘much unrest’ and that this was the reason for stopping the programme. Education minister Arie Slob said he wants to find out what happened precisely and that steps may follow. He was particularly worried about teachers and pupils being left in the dark. ‘If this is true it is unacceptable,’ the paper quotes him as saying.